NIU student Stephanie Torres Celis has been elected as the new student member of the Illinois Board of Higher Education. 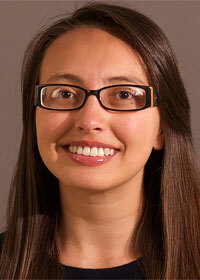 She is one of two students selected by an advisory committee to serve on the 16-member board. Her term continues until July 2017. Celis begins her studies at NIU this fall, pursuing a bachelor’s degree in public health through the College of Health and Human Sciences. She graduated from the College of DuPage with an Associate of Applied Science in nursing. While at COD, she was the student member on the board of trustees, as well as being elected student body president. Celis also served on the Illinois Community College Board during 2015-2016. The mission of the IBHE-SAC is to represent higher education students from public universities, community colleges and private institutions on state-level issues concerning higher education, including providing input to the Illinois Board of Higher Education. Illinois college students interested in getting involved in IBHE-SAC for the upcoming year should email ibhesac2015@gmail.com.